A Health Savings Account (HSA) plan combines high deductible health insurance with a tax-favored savings account. Together, they can give you more control to manage your health care dollars and triple tax advantages. And with Health Savings Account plans, preventive care is covered even before you meet your deductible. Want to learn more about HSAs? You’ve come to the right place. HSAcenter.com has many resources to help you determine if an HSA is the best choice for you and your family. Click through our site for helpful videos, savings calculators, and more Health Savings Account information! 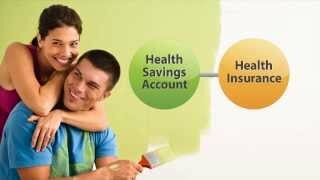 A Health Savings Account (HSA) is a tax-favored savings account created for the purpose of paying medical expenses. It is combined with a qualified high deductible health plan to give you more control over your health care dollars. Is an Health Savings Account right for you? 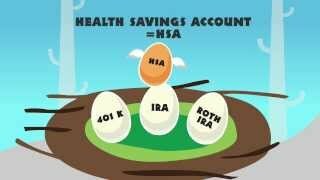 Watch how your savings add up with an HSA. Is a health savings account (HSA) plan more affordable than your current health insurance? 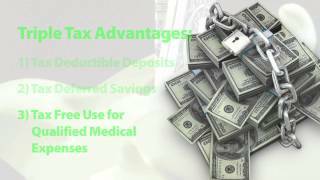 How much can you save on your taxes with an HSA? How much can HSA savings grow for your future health care costs and retirement? You’re going to need money for health care expenses in retirement, so why not save and pay for it tax-free? Use a health savings account to plan for retirement health care costs.